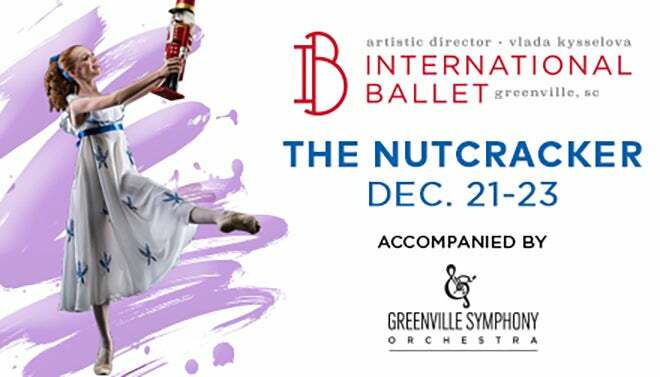 International Ballet's mission is to represent classical and contemporary ballet by offering world-class productions and training to the Greenville community. 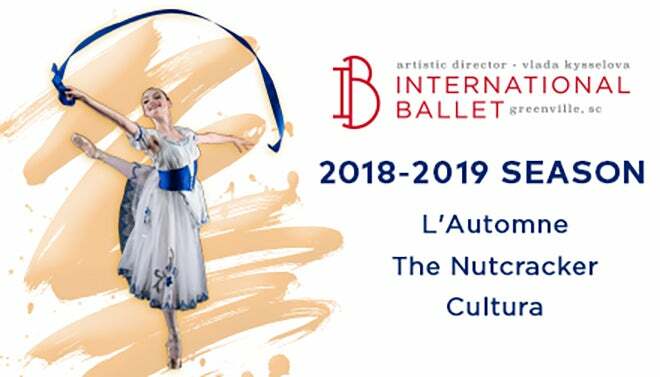 With a focus on professional quality performances and a commitment to fostering local talent and meaningful outreach programs, International Ballet continues to transcend boundaries - and cultures - that inspire audiences with a performing arts experience unlike any other. 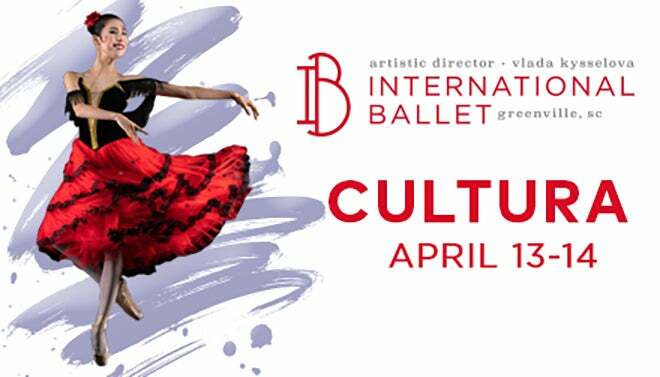 An intimate evening featuring live music and selections of classical and contemporary dance. The season’s most beloved classic comes back to life. Featured photos courtesy of © Jerry Finley Photography.